New year, but same old landscape? Now is the perfect time to update it. By updating your landscape, you can greatly improve your home’s exterior appearance. Of course, you can take gradual steps, or go all in for a full renovation. Small steps like sweeping your decking, or removing old debris will keep your garden looking fresh. If you have an outdoor setting, changing your colour scheme will refresh your exterior. 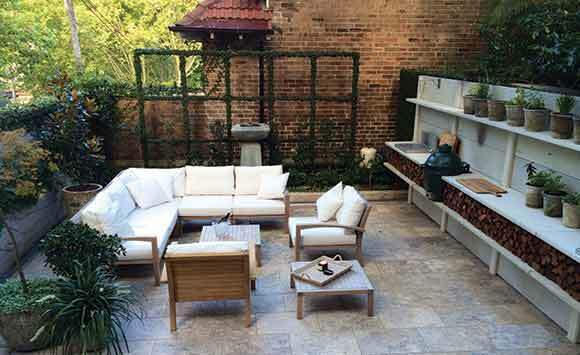 Changing outdoor furniture placement, cushion covers and decorations will also make an impact. You could include new potted plants such as succulents or cacti in areas with plenty of natural sunlight. When it comes to renovations, designs and construction work by Lone Pine Landscapes are unbeatable. If you are planning a renovation, it is important to create a realistic design before going guns blazing. Our designs are creative, original and practical. We take into account your lifestyle, budget and goals. Our construction techniques produce the highest quality landscapes.